Pups visit Pets Corner Brighton Racecourse to say thank you! Three of our puppy parents from East Sussex visited the Pets Corner store at Brighton Racecourse to thank the staff for their tremendous support during the 25p campaign which ran recently at all Pets Corner stores. 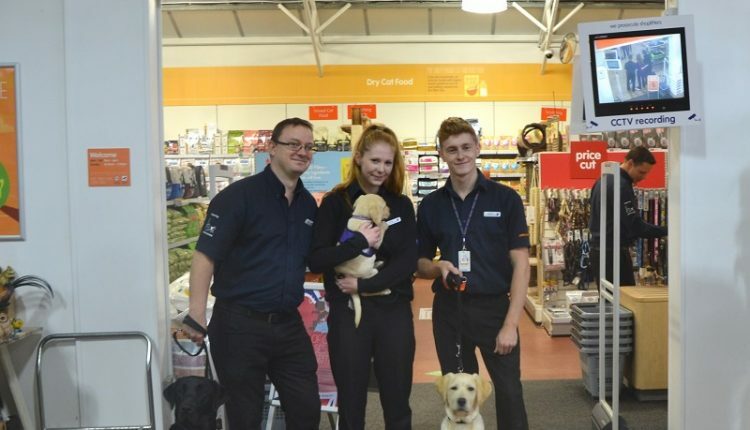 The Brighton store collected the highest number of donations during the campaign so Kingston, Sandos and tiny pup Veyron visited the store with their puppy parents to say thank you. They even managed to get some training in too! Thank you very much to all of the Pets Corner stores for taking part in the campaign and raising an incredible £10,000 in celebration of our 25th Anniversary. For further information about Pets Corner visit www.petscorner.co.uk.